Bundle Up and Save! Get BOTH the Personal Vision Tracker and the Insight for just $99.99. 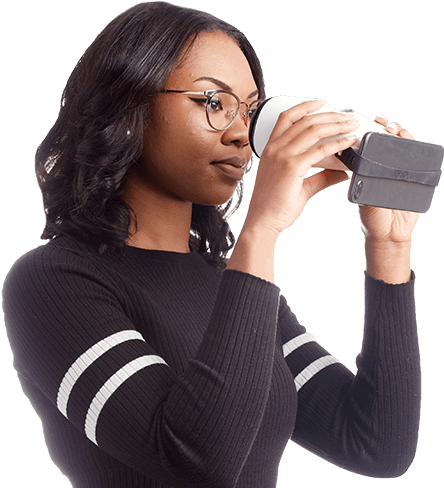 Fast, fun, and easy way to check the sharpness and clarity of vision from home..
Know if you’re seeing 20/20 in about a minute, with or without your glasses or contacts. Gamified mode keeps kids engaged and gives sticker rewards for frequent tests. Take the test in less than a minute from home or on the go. Know when it’s time to see the doctor. Patented goggle design consistently mimics the required 20 feet distance while the app randomizes test patterns to ensure accuracy. One set of goggles and the free mobile app powers the whole family. Test as often as you want for one low annual fee. 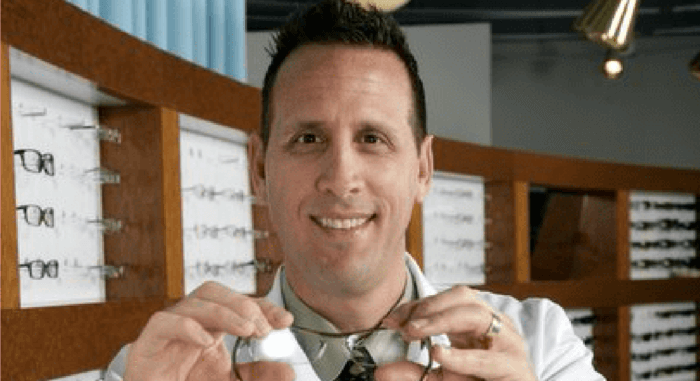 If you aren’t seeing 20/20 with your glasses or contacts on, it’s time to update your Rx. 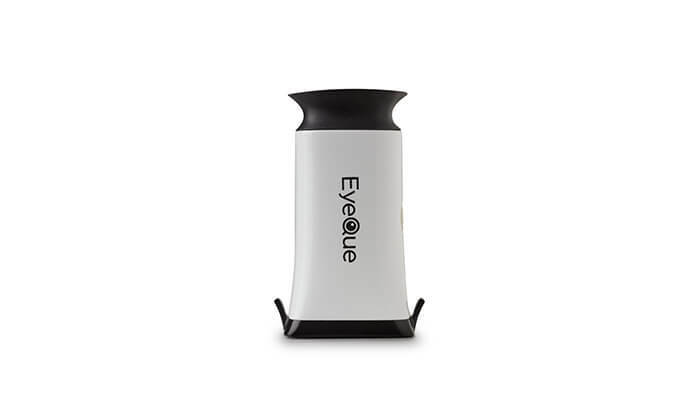 Detects contrast sensitivity which can indicate certain conditions like glaucoma and cataracts – which makes driving in low light or with glare difficult. Determines what form of color blindness you have, if any. 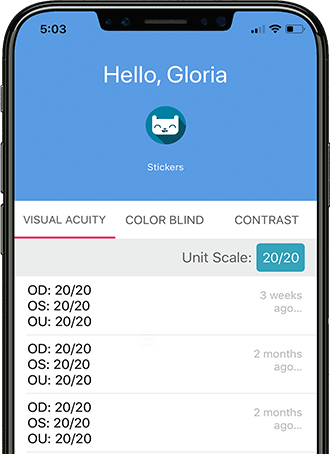 Monitor vision changes online or through the app and share with your doctor. An optical smartphone attachment, quick start guide, safety band and storage case are all included. Hundreds of models supported: Android 4.x or above or iOS 9.3 or above; must have a diagonal screen size of at least 4.7 inches and a resolution of 300 ppi or higher. Test using Internet connection or standalone. 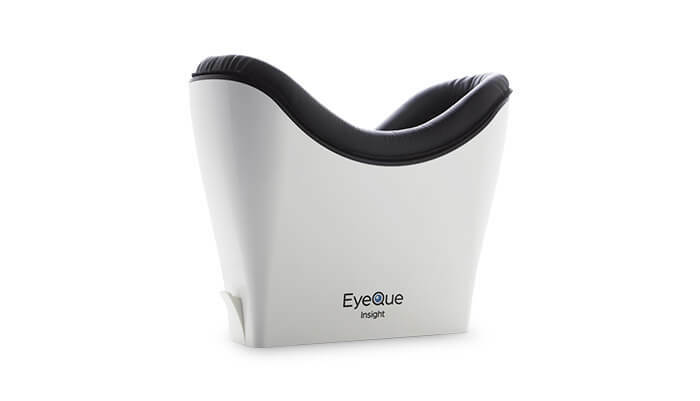 The EyeQue Insight can be shared with many people. Each person must use their own membership for personalized results. Download the free mobile application from Apple’s App Store or Google Play. 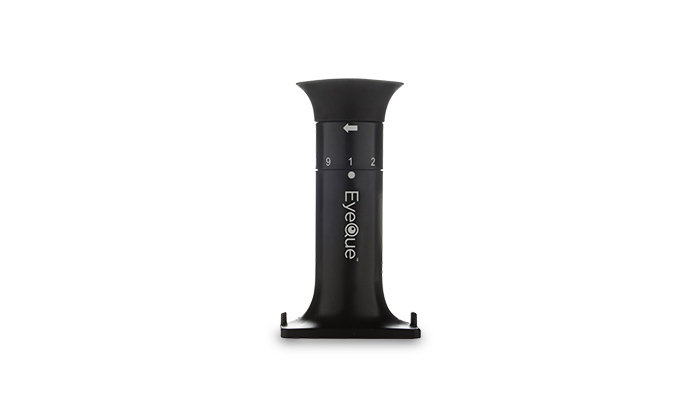 I think the EyeQue Insight is very convenient and gives a quick snapshot of what your vision is. For families and kids, it’ll be great because it’s like a game that’s very easy to use! It is so easy to use in the family! I think the Insight would also be great to have in elementary schools for vision screenings. While eye health should be checked annually, there are those who don't have access to eye care for various reasons. 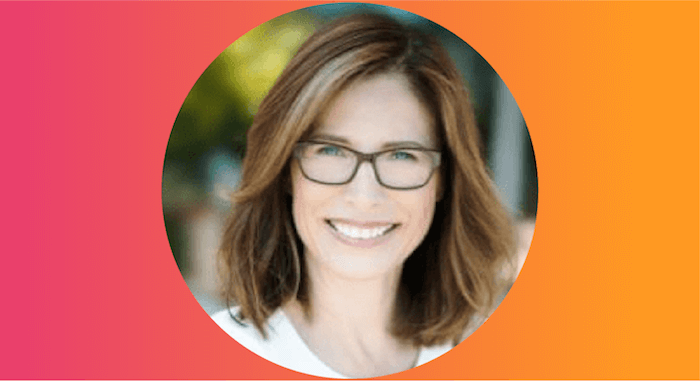 Testing vision at home is one way to help people become more aware and educated about their vision, order glasses online and, ultimately, be able to see. Trouble Seeing the Street Signs? You may need new glasses. 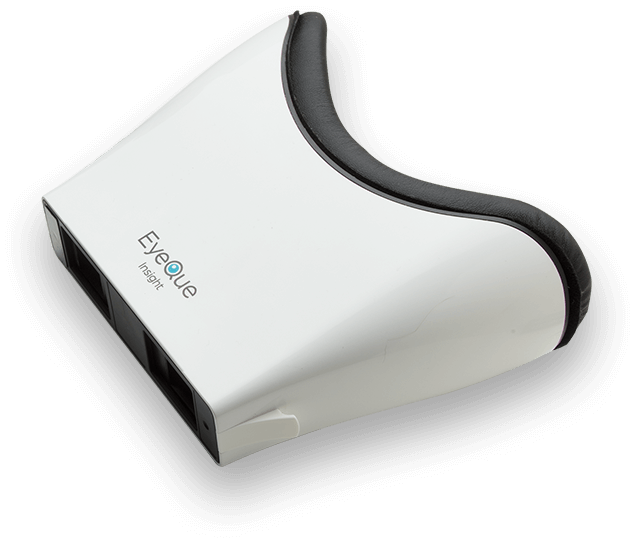 Get your EyeGlass Numbers to order glasses with the Personal Vision Tracker. 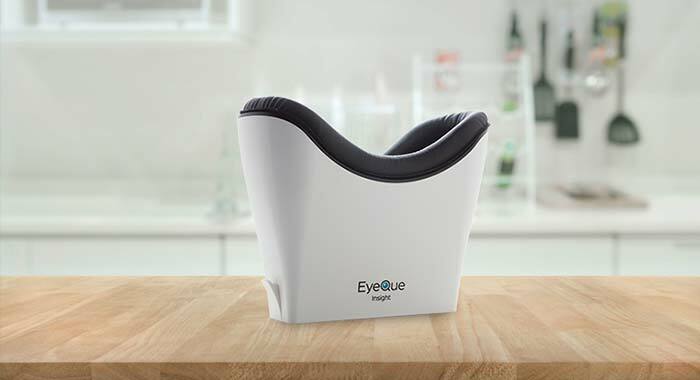 Start testing your vision from home today and share your Insight with the whole family. Receive 10% off plus exclusive deals and tips.